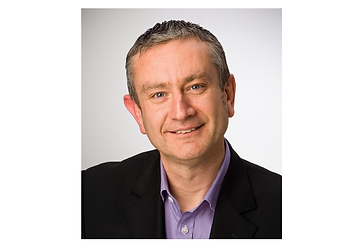 ANDS, Nectar, RDS, their lead agents and the Department of Education and Training are pleased to advise the appointment of Richard Northam as Interim Executive Director of the National Research Data Cloud (NRDC), effective immediately. This appointment has been made in advance of the establishment of the NRDC Board to ensure that the momentum created over the past year to form an integrated and transformative new eResearch infrastructure investment is maintained. Richard has had a particularly deep engagement with eResearch for a significant period of time and is very well known within the sector. He is a current board member of Nectar, RDS and the Australian Access Federation, was the inaugural RDS Director and has led programs within ANDS. He was recently engaged to lead the creation of the 2018-19 NRDC Annual Business Plan, working closely with senior ANDS, Nectar and RDS staff. Richard will lead the establishment of the NRDC and position it to transition to a single governing entity by July 2019 (noting that Melbourne, Monash and Queensland universities have agreed to act as joint lead agents until that time). One of his first objectives, drawing on the substantial expertise of existing staff and other stakeholders, will be to develop a strategic plan, including a capital investment plan, for the NRDC. Richard will lead the NRDC until an ongoing Executive Director has been recruited. This process will commence as soon as the NRDC Board has been established. We would like to express our profound appreciation of the extraordinary contribution Ross Wilkinson, Glenn Moloney and Ian Duncan, and all the ANDS, Nectar and RDS staff, have made to date, and similarly look forward to the contribution they will continue to make to the NRDC.